The move to grant citizenship to Bangladeshi Hindus is aimed at polarising the state and diverting attention from the lack of development. In view of the approaching UP assembly elections, the BJP and its Hindutva associates are not only busily consolidating their usual vote banks but are also using new tactics to expand into territory that has so far remained outside of their dominance. These are not sudden flashes in the pan, but campaigns that have been preceded by years, even decades, of patient preparation and planning. The BJP-led government in Assam, which came to power riding the crest of a massive wave of heady propaganda claiming deliverance of “jati, mati and bheti” (nationality, land and hearth) from the clutches of alleged foreign hordes, has already witnessed an equally steep decline in its popularity. Leaders like Prime Minister Narendra Modi, who had promised a huge inflow of funds to accelerate the stagnant economy of the state ahead of the polls, have not shown any inclination to depart from the neoliberal rulebook in providing finance. The central government is thus committed to financial discipline and the state is expected to earn its own funds for development, which of course is more likely to doom it to perpetual backwardness. The people are unlikely to understand or accept such compulsions, and there is an urgent need to divert public attention from the fund-crunch and its consequences as well as repair the damage to its popular support base. The BJP’s all-India leadership has devised a two-pronged strategy to fulfil both ends. First, there is a selective eviction drive against immigrant Muslims who are allegedly occupying government land and land belonging to ‘satras’, traditional Vaishnava monasteries. The ruthlessness of the drive can be imagined from the fact that on September 20, in order to evict 200 odd households of the Bandardubi village in Nagaon district allegedly occupying forest land near Kaziranga national park, 150 armed jawans of the CRPF, ten elephants and five bulldozers were massed around the village. All the houses, mostly permanent structures, were razed to the ground and set on fire. There is now a vocal band of cheerleaders who spring into action at any such ‘patriotic’ act and sing hosannahs to this savagery. The villagers offered resistance but dispersed in panic when the CRPF opened fire, killing two. Chief minister Sarbananda Sonowal and other leaders of the government expressed satisfaction at the grand success of the drive, promising that more such action would follow soon. In actuality, as former chief minister Tarun Gogoi revealed at a press meet, those unfortunate people had been settled at that spot by the Asom Gana Parishad (AGP) government in 1996 and the high court had been misled into ordering an eviction by the erroneous testimony of a government officer back in 2015. The villagers had not encroached on forest land; the land was only recently claimed by the Kaziranga national park for the extension of its area under a government notification. Therefore, there was justification to the villagers’ demand for due compensation as well as to be given sufficient time for them to leave. Indeed, the government was under an obligation to arrange for their rehabilitation. On the other hand, sprawling resorts and hotels have been built in the neighbourhood on encroached forest land by moneyed people who are left in peace. Only poor people, including a large number of Muslims, have been victimised. There is a shrill chorus of triumph at the plight of these alleged ‘Bangladeshis’. Significantly, the order for the brutal eviction was given not by the home minister but finance minister Himanta Biswa Sarma. Riding high on the ‘success’ of the operation, Sarma made it clear that more such evictions of ‘Bangladeshis’ will follow, to the jubilation of people who want an Assam thoroughly cleansed of ‘Bangladeshis’. It is necessary to remember that a stormy and sometimes blood-smeared movement for the detection and deportation of Bangladeshis had rocked Assam from 1979 to 1985. The Assam Accord signed between the leaders of the agitation and the Indian government had set down that March 24, 1971, should be regarded as the cut-off date for marking off citizens from ‘outsiders’. At first, there was great unrest and anger among immigrant Muslims against the accord. Muslims had started settling in Assam from as far back as the 1920s under British colonial patronage and reached numbers running into lakhs even before independence with the encouragement of a Muslim League-led government formed with a very small majority. But after the experience of ominous and endless instability, the immigrant Muslim leaders came to realise the need for compromise and gave their unqualified support to the Assam Accord and 1971 as the cut-off year. The consensus saw a prolonged period of calm, during which the Congress ruled the state. Unfortunately, the party made a mess of the situation, with rampant corruption and disregard for established norms of public administration and governance. This made it easy for the BJP to win mass support in the state, but it characteristically injected a communal strain into its campaign. The RSS had already invested deeply in projects in the state – such as the opening of better-managed schools in villages and small towns while the public school system crumbled – to gather popular support for its Hindutva agenda. Hindu gods and goddesses were beginning to be worshipped in a clamorous and provocative manner, unlike the traditional Assamese way of unobtrusive and gentle worship. This was posed as a just retort to the new-fangled noisy and brash demonstration of faith in some Muslim mosques. Be that as it may, both certainly went against the grain of the Assamese tradition of subdued piety. This new and alien mode of asserting faith is more likely to mobilise blind believers who might turn violent at the slightest provocation. To pick up the thread again, under orders of the Supreme Court, energetic steps were being taken to prepare a National Register of Citizens (NRC) based on documents from before the cut-off date. The draft NRC was nearing the final stage when it occurred to the BJP leadership that it might make the position of Hindu refugees from Bangladesh who entered Assam after 1971 and whose numbers, owing to the gross oversight of forces guarding the border and the support of the Centre, might easily have swelled to more than 50 lakhs. The BJP had assured the leaders of such refugees before the assembly elections that something would definitely be done to grant them citizenship expeditiously. This was designed partly to play on the sentiments of millions of Bengali voters who were genuine citizens. A government notification issued by the central home ministry had put the assurance on record. 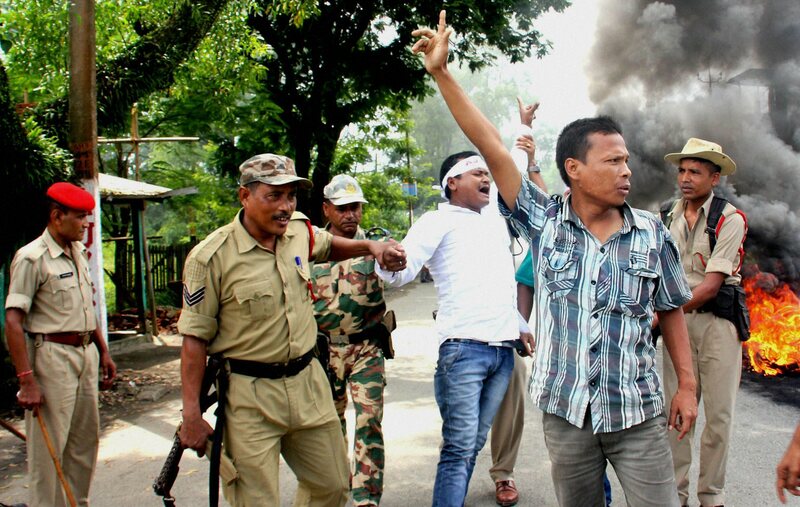 Assamese citizens, by and large, assumed it was an election ploy to buy votes. But they were aghast when the home minister in breathless hurry introduced in the Lok Sabha a Bill on July 15 to amend the Citizenship Act of 1955 in order to offer citizenship on a platter to any Hindu, Buddhist, Jain or Christian – basically anyone other than a Muslims – who entered India from neighbouring countries, and indeed kept the offer practically open for an indefinite period in the future. Apart from a sprinkling of Buddhists, the vast majority of migrants from Bangladesh entering Assam after 1971 appear to be Hindus and not all of them had actually faced religious persecution, as is hinted. In any case, granting citizenship to the entire lot will upset the delicate demographic balance where indigenous ethnic communities enjoy a thin majority. Assam was annexed by the British in 1825. They had imposed Bengali as the language of courts and schools primarily for their own convenience, as they had acquired knowledge of that language in the previous 100 years of their colonial rule in Bengal.This eventually created bad blood between the Assamese and the Bengalis, and both groups nursed a deep distrust of each other up to even the time of independence. The Assamese, led by their middle-class, made a desperate attempt to turn themselves into a hegemonic group. Time and again, the rise in the influence of the Left was halted by chauvinist upsurges. The Indian ruling class played on the differences between the two groups adroitly and by and large kept its hold on the state by befriending the Assamese middle-class. The policy changed in the 1970s when Indira Gandhi began to patronise Assamese OBCs and STs along with the enormous immigrant Muslim vote bank, much to the chagrin of the Assamese elite. It is alleged that during this period, vigilance at the border was extremely lax. The upshot was the highly controversial Assam anti-foreigner movement, which culminated in the election boycott call in 1983. The movement saw the death of 800 volunteers in police firing and the butchering of 2,000 Muslims at Nellie. The aftermath saw the rise of the AGP as a regional political party that took power in the state twice but failed, in the end, to retain popular support by ignoring basic problems of the masses like development and employment, enabling the Congress to sweep back to power in 2001. The Congress took for granted the mass support that it gained because of the lack of an alternative and cocked a snook at public opinion by flouting all norms of governance. It was during this period that the BJP began to pose as a serious alternative, promising probity in public life. The RSS started its subterranean long-drawn campaign to win the hearts and minds of the people for Hindutva. During the fag-end of Congress rule, Sarma, a powerful young leader who was in touch with the grassroots, fell out with chief minister Tarun Gogoi, apparently on account of a plot to replace the latter in the state leadership, and suffered political exile and disgrace. Following a period of hibernation, he joined the BJP along with 11 MLAs in tow as well as thousands of followers. He played a significant part in the victory of the BJP-led alliance in the assembly election by re-inventing himself as a spokesman of the RSS. Sarma’s election rallies were marked by his thunderous roars against the “15-year long misrule of the Congress”. Powerful sections of the media reverberated with loud whispers of an indeterminate Muslim threat to the sons of the soil. Assam was alleged to be infested by jihadi Muslims. The threat is sought to be undone by the new government by freeing government land and land belonging to satras from the clutches of alleged ‘Bangladeshis’, many of whom appear to be people displaced from their original habitat within the state by severe floods and river erosion. The idea, however, is not really to give land to the landless poor, among whom there will certainly be some immigrant Muslims, but to conjure a siege mentality.The fear of Muslims is being turned into a mass hysteria, though sceptical voices are also heard now and then. The plan to grant citizenship to Hindu Bangladeshis is also being mooted as a most effective means of combating the Muslim threat, though it makes nonsense of the election-time promise to save native inheritance from the perils of extinction. If the amendment were to be passed by parliament, those granted citizenship by the Bill will likely become a permanent vote bank for the BJP, which is keener to build a homogenous “Hindu nation” than protect and preserve historical and local identities. That will definitely alter for good the human landscape of the state. Besides, the state is home to many poor and backward communities, including millions of tea garden labourers who are ill-equipped to compete with the newcomers for opportunities and entitlements. The irony is that there had been no large-scale movement to demand citizenship for Bengali Hindus who have entered Assam since 1971 from Bangladesh across porous borders. Nor have the indigenous people given informed consent to this preposterous idea. Why, then this unseemly haste and bungling eagerness? It can only be called a piece of constitutional adventurism, characteristic of the BJP which tries to use loopholes in the constitution to further its political design. What exactly is the number of such immigrants? During his tenure as governor of Assam, Lt Gen S.K.Sinha had submitted a report to the Centre in the late 1990s which drew on census reports in Bangladesh and estimated that the figure of decrease in Hindu population from 1971 to 1991 would be not less than 75 lakhs. If even 30 to 40 lakhs of them have sought refuge in Assam, that would upset the usual demographic balance in the state. Plus, the strain on resources in an under-developed state. No wonder there has been large-scale encroachment on forest reserves and government land and tremendous growth in urban population. Very little land is left for future immigrants, for whom the proposed amendment seeks to keep the door open. Already, thousands of youths seeking employment as low-level employees in other developed states have moved out of Assam thanks to a stagnant economy. No wonder people are expressing grave disquiet through various forms of mass protest and agitation. So far, this has not led to any violence but the situation is like a pile of dynamite. Matters were further exacerbated by the fact that the parliamentary select committee examining the amendment gave only a fortnight’s notice to affected parties to submit memoranda and express a desire to give evidence before it. When the state government informed the Centre of the emerging disquiet, the chairman of the select committee issued a public notice extending the date up to October 31. But it called four Bengali Hindu organisations without a visible mass base as well as three groups from Assam (the AASU and AGP, both friendly to the BJP-led state government, and a group claiming the legacy of the Assam Movement). Such a decision, when, according to the chairman himself, not less than 9000 memoranda had been received, outraged the public in Assam. The fact that tribal organisations, leading youth organisations, prestigious bodies like the Asom Sahitya Sabha, and a delegation of leading citizens including retired top bureaucrats, intellectuals and senior journalists were left out in the cold, outraged the public. In the face of the resounding demand that the select committee come to Assam and hold public hearings in the state, the parliament secretariat set November 2 and 3 as the dates for public hearings in Assam. However, the dates were soon postponed without assigning any reason. The situation is made murkier by sustained strident propaganda in sections of the media and by public comments of saffron politicians that the Muslim birth-rate has led to an unacceptable rise in the ratio of Muslim population in the state. 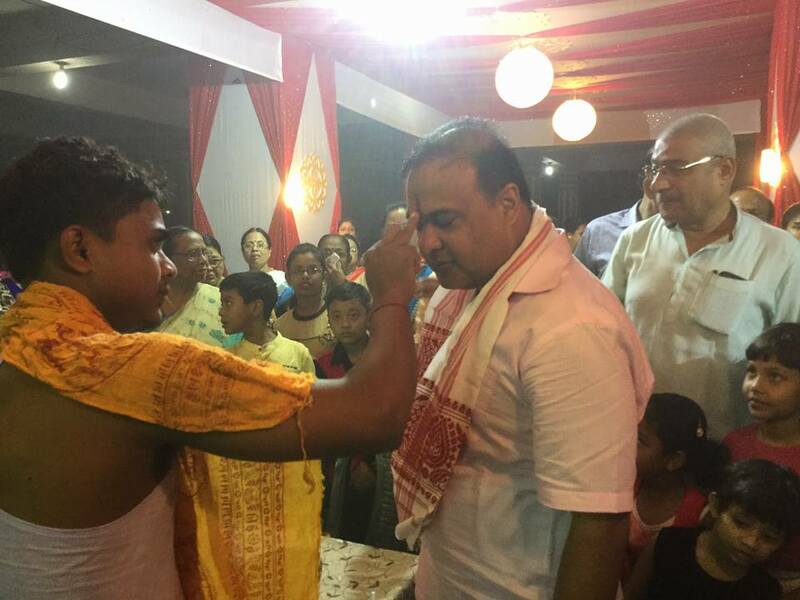 Himanta Biswa Sarma has recently gone to the extent of declaring that the Assamese can only gain security by accepting Bengali Hindu immigrants from Bangladesh as citizens of the state. “The whole thing is that we have to decide who our enemy is. Who is our enemy, the 1-1.5 lakh people or the 55 lakh people? The Assamese community is at the crossroads?”, he said recently, citing fictitious numbers to imply Muslims are the problem. 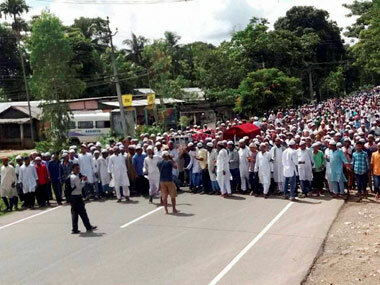 It has taken several decades to settle the differences between Bengali Muslim immigrants and the indigenous Assamese. The Muslim immigrants had long ago adopted Assamese as the medium of instruction in their schools in order to assuage Assamese fears. There are now several well-known Assamese authors and scores of journalists from among them. But the conflict with Bengali Hindus goes back much further. In the early 19th century, the British rulers had imposed Bengali on Assam as the language of courts and offices, and long after that, following restoration of Assamese, influential sections of the Bengali intelligentsia continued to claim it was a wrong decision. 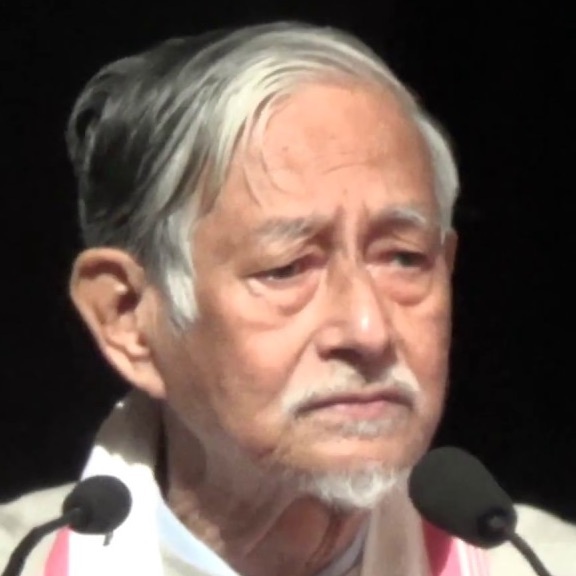 In 1960, serious riots followed the moving of a bill in the state assembly declaring Assamese as the official language of the state, and several persons lost their lives on both sides in police firing and mob violence. The Bengali Hindus, justly proud of their rich native language, are unlikely to accept Assamese as most Muslim immigrants did. Hence, the citizenship decision sought to be imposed from above is like bringing fire to a tinder-heap.